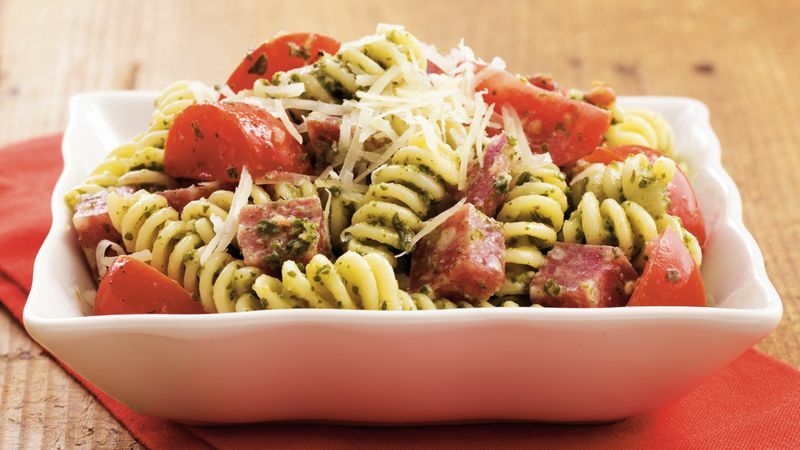 In large bowl, toss hot pasta with pesto, tomatoes and salami. Sprinkle with cheese. Use any small pasta shape, such as gemelli, rotini or cavatappi, instead of the fusilli. Genoa and cotto are among the best-known Italian salamis. Genoa is made of pork and veal, seasoned with garlic, pepper and red wine. Cotto is made of pork and beef, seasoned with garlic and studded with peppercorns. Use your favorite salami in this recipe.